Have A Fundraising Event At XtremeCraze! XtremeCraze Fundraisers Are A Great Way To Raise Money For Your Organization. while contributing to your worthy cause! Sponsor a 2 hour time frame to host your event. 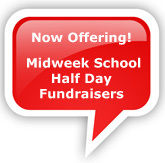 Fundraisers are held on Tuesday evenings from 6:00 PM to 9:00 PM and on select Tuesday, Wednesday and Thursday afternoons. Note: We don't hold fundraisers on holidays or during vacation weeks. Please ask attendees to make reservations in advance. Reservations allow us to properly credit your organization and to appropriately staff the event so that we may provide great service. Based upon the amount of revenue generated from both Laser Tag & Adrenaline Zone sales during the pre-scheduled time-frame, XtremeCraze will donate up to 45% of the proceeds to your fundraising organization. are required to receive a donation. Attendees will receive the $14 group rate for a single session. We also offer a Combo Special - one session of Lasertag, Adrenaline Zone and $2.50 in Game Zone credits - for $23.00 per person. Pass out the flyer we send you or make your own. Please be sure to list that we strongly recommend reservations. Include our website and phone number. Announce the fundraiser at your group's next meeting and hand out the flyers. Hand out the flyers to the students before or after school. Insert a copy of your flyer into your group's newsletter. Post an eye-catching sign on your bulletin board with flyers nearby. Invite a special guest to be the greeter the night of your event. Send an email reminder 48 hours before your event. Download the XtremeCraze Fundraiser Request Form here. Please complete the fundraiser form. Be sure to list at least two dates for your fundraiser. The form is a writable pdf file format. Key your information into the form, starting with the date, then save and print the completed form. Email the completed fundraiser form and any questions you may have to to fundraisers@XtremeCraze.us. 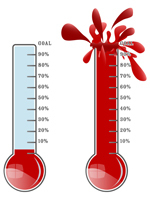 We look forward to partnering with your organization to create a unique fundraising event! The fundraiser event is a charitable donation program, not a discount. XtremeCraze reserves the right to select the organizations we choose to support. Coupons and other special offers will not be accepted during the fundraising event. Note: Offers are subject to change. Download the free Adobe Acrobat Reader directly from the Adobe web site by clicking on the button below.